MXR M87 Bass Compressor Bass Guitar Effects Pedal - Studio Compressor for the stage. The MXR M87 features a complete array of controls; Attack, Release, Ratio, Input, and Output — makes it easy to fine-tune your sound, from subtle peak limiting to hard squashed compression effects. 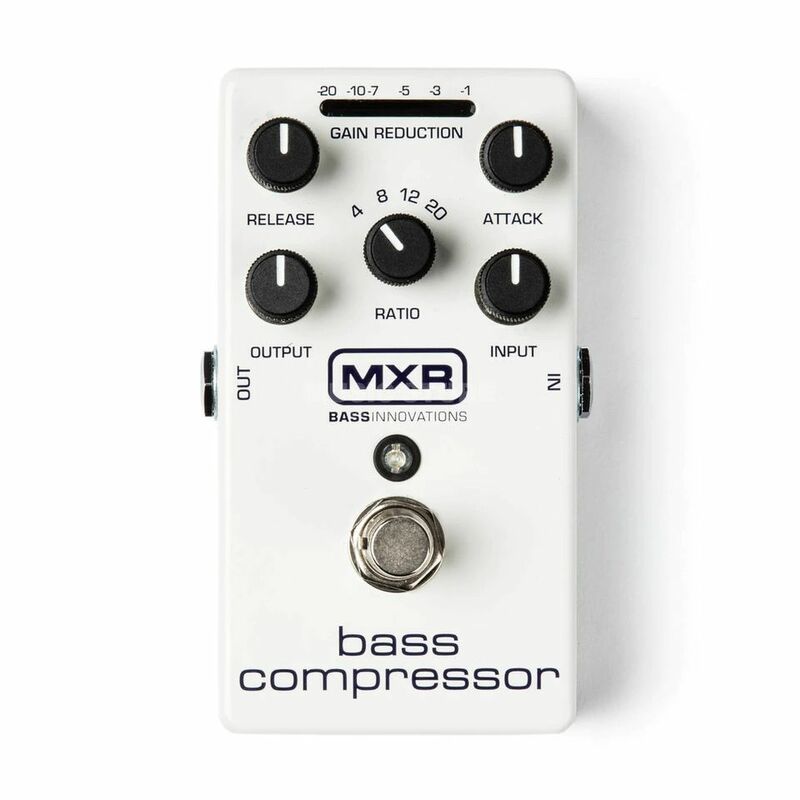 The MXR M87 Bass Compressor has CHT™ Constant Headroom Technology. This gives you plenty of headroom and clear performance. This totally transparent compressor allows your full dynamic range to shine through until your signal reaches the compression threshold, which is indicated by the ten, highly visible gain-reduction status LEDs. It’s all packed into a durable, lightweight aluminum-housing pedal that’s the size of a Phase 90. Great compressor. The best I ever used. Quiet and transparent. Very easy to use. The meter is very helpful to quickly set threshold. Im very happy to get it. Moreover, mxr case construction is very strong. Ohh! This is fantastic unit! Very good compression and sound is clear! Very good workmanship besides. MXR - one of the best brands for every bass player and musician. I am now convinced of this, and I want to buy another pedal for my pedalboard!